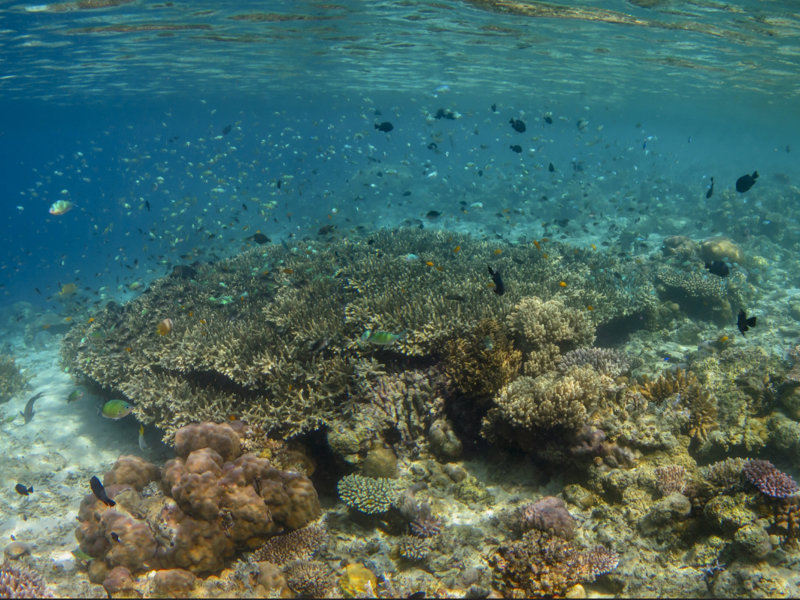 Researchers have discovered why the Coral Triangle is host to an unrivalled diversity of marine species and coral reefs. Marine diversity amidst corals at Mataking Island. A new study, led by doctoral student Elizabeth Miller from the University of Arizona, suggests that time is the key. The study (published in the journal Proceedings of the Royal Society B) found that, despite its rich diversity of marine species, new species in the Central-Indo Pacific region actually evolved slower than those found in cold marine regions like the Arctic or Antarctica. This holds true despite the fact that the speciation rates are actually much higher in the latter places. Although the species evolve relatively quickly there, the glaciation periods experienced by the colder ocean regions “clears out much of what was there before,” said Miller. In contrast, environmental conditions in the Coral Triangle have remained stable over long periods of geological time, so new species were able to slowly accumulate to the current level of biological diversity. "Things haven't changed much there in the past 30 to 35 million years," Miller elaborated. "In contrast, other marine regions, such as the Caribbean, underwent periods of instability and isolation, and therefore fewer colonisations and higher rates extinction of the lineages that were there previously—all those factors add up to less evolutionary time."